The Candy Bombers, also known as the Raisin Bombers, were a group of American pilots that dropped treats to children during the blockade of Berlin. This wonderful book details the history leading up to and through the Berlin Airlift. It's an amazing and wonderful story! 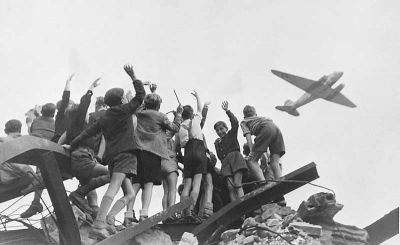 If you're not already familiar with the particulars of the Berlin Airlift, I'll now take the opportunity to give you a little background on it. At the end of WWII, Germany was divided amongst the victors; those being the United States, the Soviet Union, Great Britain, and France. The Soviet Union took control of the larger, Eastern half of Germany, including half of Berlin. The Western half was split between the US, Great Britain, and France. After World War II, the former allies, including the Soviet Union, were stuck in a delicate balance of power. Unfortunately, there were significant economic and political differences between the "West" and the Soviet Union. This, along with military concerns, brought about the beginning of the Cold War. In 1947 Britain, France, and the United States merged control of Western Germany. Due to serious disagreements, all train and truck convoys and ships into Berlin were blocked by the Soviet Union, in hopes of pushing the West out of the city. Berlin was facing starvation, as supplies were cutoff by the Soviet Union. The West had decided to supply West Berlin by air, instead of using tanks and military force, in hopes of preventing World War III. It worked, but some American pilots had bigger ideas. This leads us to the Candy Bombers. The Candy Bombers were also called the Raisin Bombers, or Rosinenbomberby, by the German population of Berlin. They got their start after Gail Halvorsen, an American pilot, decided to start dropping candy via handmade parachutes to the children trapped behind the Berlin Wall. 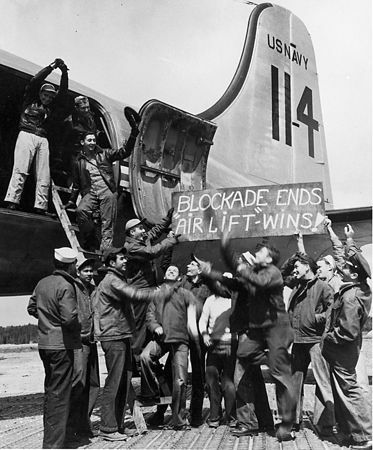 After a time, other American pilots joined in and it became officially known as Operation Little Vittles. Eventually, the Confectioners Association of America began donating large amounts to the effort. In addition, American school children cooperated in attaching the candies to the handmade handkerchief parachutes. By the end of the operation, around 25 plane crews had dropped 23 tons of chewing gum, chocolate, and other candies over various parts of Berlin. The important part about dropping the treats to the people trapped in West Berlin was that most of the children only knew the Americans as the ones that bombed and possibly killed some of their family. 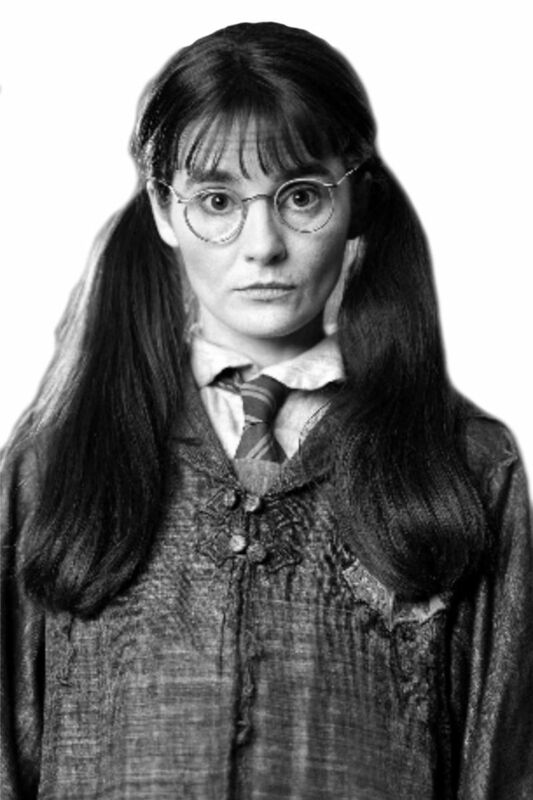 The effect of dropping candy was to give hope and a little joy to the most fragile people of the population; the children. Candy goes a long way toward goodwill! The Candy Bombers starts off at the tail end of World War II and goes into great detail about the physical, emotional, and political climate of the period. Andrei Cherny does an excellent job capturing the emotions and struggle of people, both in America and Europe. It isn't until the middle of the book that we begin to really hear about Hal Halvorsen. Although, it is important to understand the background, so the reader can appreciate the risks that Halvorsen and his crew took in dropping candy. Also, the detailed beginning of the book showed just how important the dropping of candy was for the children and to encourage the adults to stand firm against the Soviet aggressions in the city of Berlin. "The Airlift had provided more than flour and coal; Halvorsen had shared more than candy. The kindness and determination of those who had once been Germany's enemies had brought, as the Berliners would invariably explain to anyone who asked, a sense of hope, of the possibility that after Nazism and war and its brutal aftermath, a better life might be possible, that a world still coming to grips with the horrors of the Holocaust might treat them not as pariahs but as heroes." All in all, it is an excellent read. However, you should be prepared for a very detailed and fairly long read. I am sure, though, that you will enjoy it! Gail Halvorsen (born October 10, 1920 in Salt Lake City, Utah) is a former American pilot of C-47s and C-54s during the Berlin airlift ("Operation Vittles") 1948-1949. 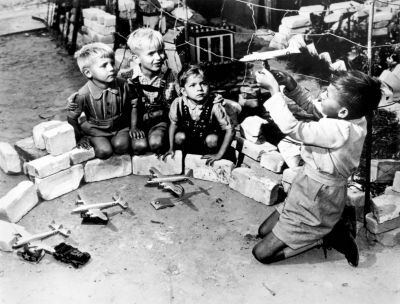 Halvorsen came up with the idea after giving a few sticks of chewing gum to some children watching the planes from outside the Tempelhof base. Wanting to give more, he promised to drop more candy from his plane the next day. Because the planes would arrive every 90 seconds, the children naturally couldn't distinguish his from the others. However, Halvorsen promised to wiggle the wings to identify himself, which led to his nickname "Onkel WackelflÃ¼gel" ("Uncle Wiggly Wings"). The important detail here was the fact that he did this against orders and, once discovered, was threatened with court-martial!! 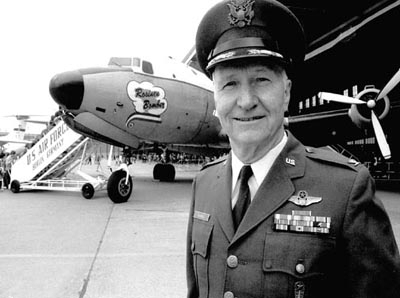 Gail "Uncle Wiggly Wings" Halvorsen connects candies to small parachutes. 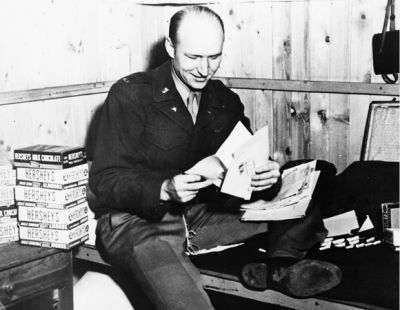 Halvorsen's actions as the original candy bomber may have had a substantial impact on the postwar perception of Americans in Germany, and it is still pointed to as a symbol of German-American relations. 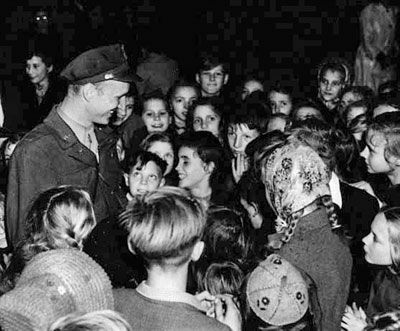 He has appeared many times on German TV over the years, often paired with some of the children, now grown adults, who received his candy parachutes. 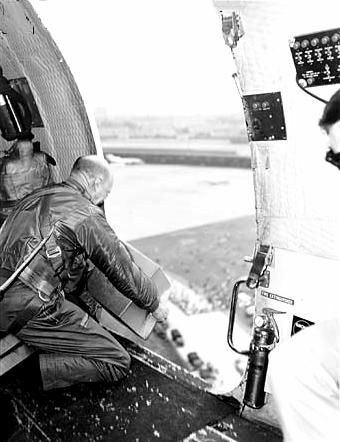 Gail Halvorsen has left a lasting legacy within the Air Force. Since then, the US Air Force has named its next-generation, 25,000-pound capacity aircraft loading vehicle in his honor. Also, they named the award for outstanding air transportation support in the logistics readiness career field the Colonel Gail Halvorsen Award. That's pretty amazing, because after he was originally discovered to be the Candy Bomber, he was initially threatened with a court-martial! This collection focuses on the Berlin Airlift. It includes 126 documents totaling 444 pages covering the years 1948 through 1952.Supporting materials include Airbridge to Berlin. Dedicated to Preserving the Memory and Legacy of the Berlin Airlift of 1948-1949. 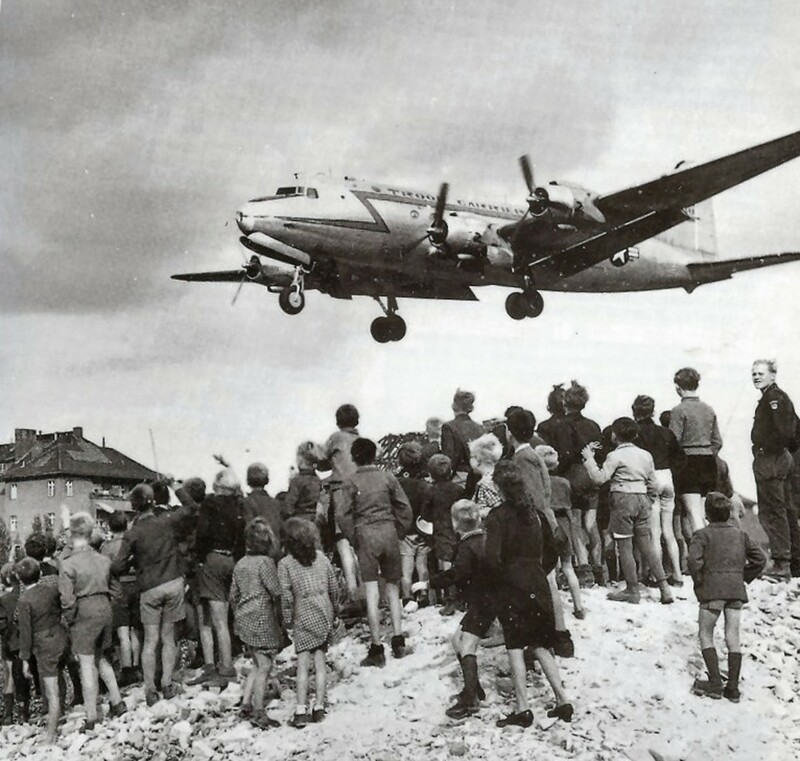 The Berlin Airlift Historical Foundation is dedicated to preserving the memory and legacy of the greatest humanitarian/aviation event in history, The Berlin Airlift. Your Thoughts on the Lens? I didn't know about this. I'm grateful to you for the education! Dropping back in to give this thought-provoking historical piece a SquidAngel blessing. Now how did I ever miss this! Your excellence is showing again! 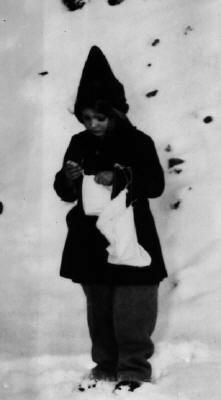 I love the picture of the little girl with the candy bag ~ a picture does paint a thousand words in this case. For a moment I swear felt like that little girl. I read it after hearing about it on NPR. What a wonderful review! I was not aware of the Candy Bombers or Operation Little Vittles. American soldiers have the biggest hearts, don't they? Blessed by a Squid Angel today! That is fascinating. No, I had never heard of the Candy Bombers. Even in the craziness of war, on both sides, people are just human. So glad you have brought attention to this bright spot in the checkered history of USA foreign involvement. Blessed! Operation Little Vittles, a cute name, and proof that all it takes is one person to make a difference. I had never heard of the Candy Bombers before. What a fantastic story! Angel Blessed. OMG, this is such a cool story -- did I read it too fast to see if there is a MOVIE about The Candy Bombers? I'm thinking this might be the perfect book as one of hubby's Valentine's Day gifts -- he likes to read historical books. ...and featured on Angels Unaware! I love this story! Blessed! A Great Lens! I like the pictures and your writing! I had never heard of anything like this. What an inspirational story of true love of kids and people. A joyous 5 star lens. Truly amazing! This is a wonderful topic, and an outstanding lens. Great lens! I can't think of anything better to bomb with. I wish all bombs were candy ones. 5 stars! How very interesting! I'm going to show this to my husband, who is a big World War II history fan. Terrific lens, terrific history lesson! Thanks for sharing this. I had heard of the candy bombers a long time ago in school but had all but forgotton about them. What a great thing they did in trying to bring back a little joy and healing to the children of the war. 5* and a squid angel blessing. What a great topic! I read about this several years ago. A great story. 5* Faved and lensrolled to my Navy Nukes and Statue of Liberty lenses. Interesting. Hershey's chocolate could make anything better! Love it! 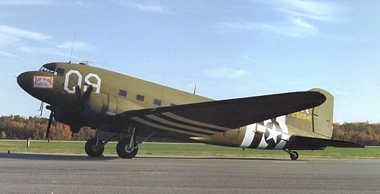 The Candy Bombers was one story about WWII that's not in the high school history books. Its touching and "sweet." Your lenses are a pleasure to read. Thank you every so much, this is a fine story. This is great! I wasn't familiar with the Candy Bombers. Wonderful story. Another fantastic source of information.